I’m definitely looking forward to Valdosta Farm Days. It’s an excellent opportunity for farmers not only to sell, but for local people to get local fresh foods. 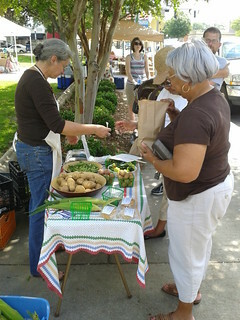 And when we buy from local farmers, we support the local economy. 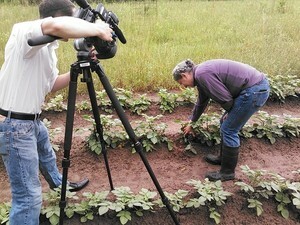 The reporter asked if it was just big farmers; he’d heard that from Jake Price, Lowndes County Extension Agent. 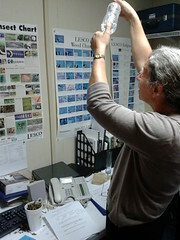 Gretchen volunteers at the Lowndes County Extension office. It’s an excellent opportunity for farms of all sizes. Jake is right though. Big commercial farmers have commercial outlets and lots of them aren’t growing vegetables for commercial sale. So it is small farmers. And the thing that’s really great about it is it’s downtown Valdosta and people can get local food available to them, fresh. He asked if it’s every year. Oh, we have it every year. It starts on the first weekend in May. We’re on the first and third Saturdays. It goes through October. And this is our third year. Gretchen modestly didn’t mention that she played a role in making Valdosta Farm Days hapen by helping get cats and dogs to play together at the Lowndes County Commission and the Valdosta City Council. WALB reporter Colter Anstaetts asked how many people show up at Valdosta Farm Days. Gretchen answered as Brown Dog bounced across. Lots of people still don’t know about it, so I’m really glad you’re telling them about it. But we do have lots of repeat customers. People who like our products and come back year after year. He wanted to know what folks look forward to. She replied as Yellow Dog pranced across. Well, I look forward to getting things that I don’t grow myself. So not only am I selling things that other people don’t sell, but I can then buy from other people and get things that I don’t grow. He asked about all the recent rain. The rain doesn’t really have too much impact on it. If it doesn’t rain then we have to water. If it’s raining, that’s good for us. We’re right on track right now. We planted on time. We had some warm days after we planted. So we’re right on track. He asked what other things? People should come on down. Even if it’s raining, we’ll be there, so come on down. 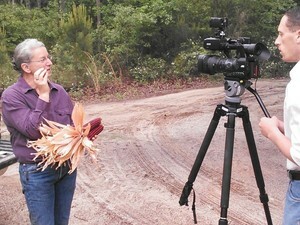 Gretchen also showed the reporter red, white, and blue corn and how to shell corn while checking every ear for quality. 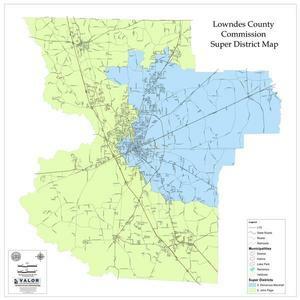 Videos and pictures by John S. Quarterman for Lowndes Area Knowledge Exchange (LAKE).